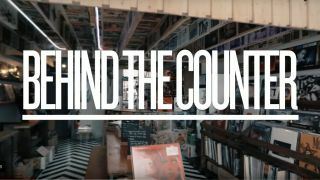 B&W partners with Record Store Day UK for new ‘Behind the Counter’ video series | What Hi-Fi? Now until Record Store Day (which is the 13th April this year), Bowers & Wilkins is presenting a new weekly video series about the UK’s most intriguing record stores, in partnership with Record Store Day UK and Classic Album Sundays. The ‘Behind the Counter’ series, which started on Tuesday, will run for 12 weeks, with a new video going live every Tuesday. The series will culminate in a Classic Album Sundays event on Sunday 7th April, hosted by each of the featured record shops, where they will preview exclusive Record Store Day UK releases on hi-fi systems featuring B&W speakers. The first of the twelve episodes – live now and available to watch below – offers a bitesize behind-the-scenes look at Transmission Records in Margate. Will your weird and wonderful local have made the cut?